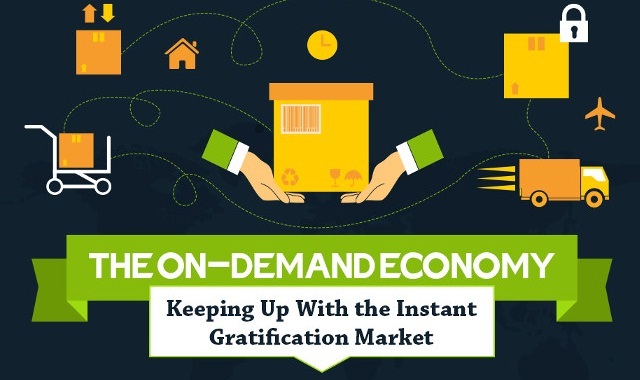 The On-Demand Economy Keeping Up With the Instant Gratification Market #infographic ~ Visualistan '+g+"
To say that Amazon has changed how we shop may be the understatement of the year. And one of the ways it has changed our habits is by offering same-day delivery. Other retailers have followed suit in an effort to keep up with consumers' expectations, and today 15% of global retailers offer same-day delivery. That's according to an infographic by 2Flow. The logistics solutions company compiled statistics and trends in the on-demand business model into one handy graphic.